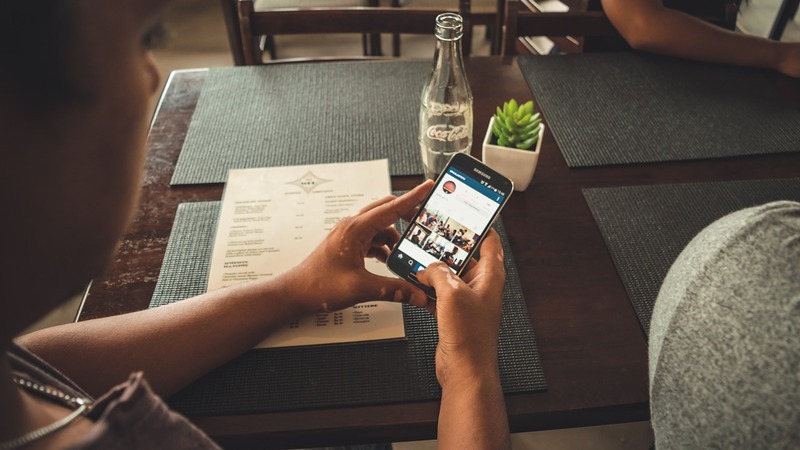 Since being appropriated by Facebook, Instagram’s reach and user base has grown exponentially. However, much like Snapchat and other more specialised social networks, most see it as the domain of regular people looking to have some fun and not a useful tool for communication and marketing. However, these people would be wrong. In the war for digital marketing, social media is the frontline and the more (and more varied) weapons that you have at your disposal the better your chances of winning are. However, like all social networks being appropriated for business purposes, Instagram will only work for you if you can build a body of followers. After all, if there is nobody to read you message then it is unlikely to spread very far (which is the entire point of using social media in the first place). Numbers vary, but you want to be looking for around 1,000+ active users if you want a decent chance of your pictures being featured on the popular page. The key word here is “active”. It is not enough to have tons of followers if none of them are engaging with you work. You will find some accounts with followers in the tens of thousands who get no interaction and thus no featured content, and you will get some with far less who regularly get featured. So, now we know what we are looking for in our Instagram followers, let’s have a chat about how to get them. Loathe as I am to write in all capitals, I really must hammer home this cardinal sin of social media antics. If you buy followers or likes, then you are going to do nothing but harm to your social profile. I know, you are probably thinking that, at best, more followers will mean that your page appears more popular and will attract more people as a result. You also may think that, at worst, it will have little or no effect. However, you would be wrong on both counts I’m afraid. First of all, at some point your real fans will begin to notice and your credibility will be shot for good. Second of all, fake accounts don’t engage with your content, they just sit there, taking up space. This means that the algorithms used by social media to determine what is popular and what isn’t will see your account with its thousands of followers and little to interaction and will determine that your content is not engaging. This will lead to your content being put to the bottom of the pile with little chance of reaching featured status. So, we have discussed the big no-no for building your Instagram following, but we are here to talk about the right way to do things. Here are some legitimate and non-spammy ways to build your profile’s popularity. The first thing you need to do is choose a focus for your account and avoid anything irrelevant to that focus. If your account is to promote your business then try to avoid pictures of your lunch or you hanging out with friends. Then you want to make your account look good, with your focus in mind. An interesting description and profile picture will help, but what you really want to focus on is your photo feed. Around twenty photos that match your focus is a good place to start. If you are using Instagram for business then don’t make every picture a promotion or advertisement or you will put people off right away. Take and post some beautiful pictures that are relevant to your field. For example, if you run an outdoors activity shop, take some photos of the scenery next time you are out for a walk and put those up. Delete old photos if necessary and adopt a quality over quantity mantra. On the subject of quantity, take care with how many photos you upload at once. People can get annoyed if the accounts that they follow are too prolific. You want to post regularly, but never batch-upload. A good rule of thumb is no more than a single photo within a six hour period. More than this and your followers will feel like you are spamming them and may unfollow you. If people comment positively on your photos then be sure to thank them. Just a single word response will make them feel like their comment is appreciated and that you are more than just a passive poster. Similarly, you should interact with the people that you follow. If you see a photo that you like, don’t just say “nice pic” or something generic like that. Instead try to say something meaningful about why you like the picture. The followers of the person you are commenting on will be more likely to check you out if you do. Last of all, and this may seem like a no brainer, but use your other networks and channels to promote your Instagram. Due to it being owned by the same company, the network interacts very well with Facebook and you should use this to your advantage. Consider adding a feed of your photos to your blog as well. There are some great and simple to use plug-ins that make this a breeze to achieve. As with all things social media related, promotion and cross-promotion is the key. Do you use Instagram? If so, what are your top tips for gaining and keeping engaged followers? Please let us know in the comments. I love these tips and will try to use them for my own Instagram account. Thank you for sharing. Very helpful. But how could – for example – a social media agency use instagram? Posting fotos of screens? Photos of screenshots, infographics, popular quotes, memes, staff at work, statistics, trends, visual content like hashtag metrics, pictures of popular social influencers. Brilliantly written! I find that this is a cliche case of, you get what you give, meaning if you’re not active with people you follow/specific area you follow, then people will not interact back. For every 10 images i like and comment on e.g. “Great Work! Keep it up!”, roughly 7 or 8 of those acknowledge my kind words, additionally, roughly 2 or 3 out of that, will acknowledge my work back, and possibly give follow/follow back. Great internet websitewebsite! It looks really expert! Sustain the excellent job!